On the less travelled north side of Kilimanjaro, this brother and sister team will trek the Rongai route on their way to Uhuru Peak, the very top of Africa. After an unforgettable journey on Kilimanjaro they will begin their ultimate safari. For six days they will explore the African savannah, viewing large numbers of animals including lions, zebras and giraffes. Our African adventure has always been an unforgettable experience. Join their daily dispatches and follow this once in a lifetime trip. 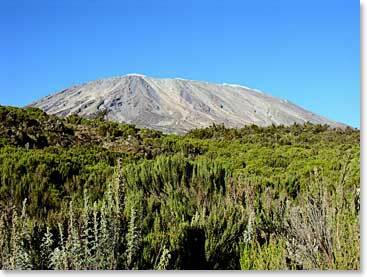 August 9, 2009 – Michelle and Sherwood Make it to the Top of Kilimanjaro!